Our aim is to ensure that Community Justice Scotland is a world leader in its field. A quick look at the community justice timeline. Though Community Justice Scotland is a relatively new organisation, our roots go back a long way. Community Justice Scotland’s board and staff work closely together to promote world-leading community justice solutions throughout Scotland. 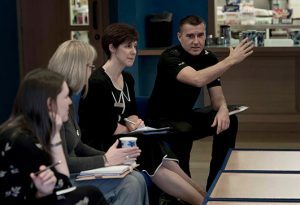 Our partners are at the heart of everything we do and we’re all working together to create a safer and fairer Scotland. 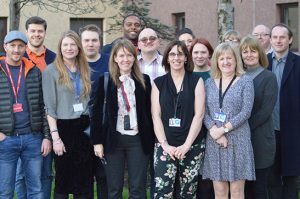 All over Scotland, our partners on the frontline of community justice are developing new ideas and practices that have a profound impact on people’s lives. Is Scotland ready for smart justice? Dr Peter Lovatt is a Dance Psychologist. 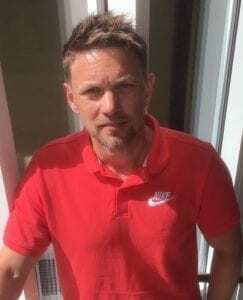 He holds the academic post of Reader in Psychology at the University of Hertfordshire, where he set up the Dance Psychology Lab. 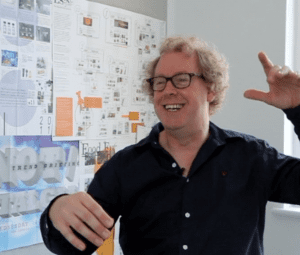 Peter’s expertise is in experimental cognitive psychology and his work on memory, thinking, mood, language learning, problem solving, dance and Parkinson’s has been published in peer-reviewed academic journals. Peter is currently delivering a series of lectures on Performance (Dance) Psychology at the Royal Ballet School. After overcoming a severe reading difficulty in his early twenties, Peter studied for a BSc (hons) in Psychology and English at the Roehampton Institute (degree awarded by the University of Surrey in 1993). In the same year he was awarded a national Science and Engineering Research Council (SERC) scholarship to study for an MSc in Neural Computation at the Centre for Cognitive and Computational Neurosciences at the University of Stirling (degree awarded 1994) and following this he was awarded a full university scholarship to study for a PhD at the University of Essex (completing in 1998). Kitty’s research interests focus on children, disadvantage and inequality, in particular in the social security system, employment trajectories and early childhood. Recent projects include a systematic review of the causal relationship between household income and children’s outcomes, funded by the Joseph Rowntree Foundation, and an examination of stakeholder support for official changes to child poverty measurement in the UK. She is currently Principal Investigator on a Nuffield-funded project examining peer effects in nursery education. 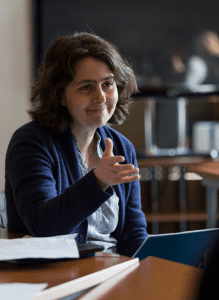 She is also a core member of the CASE team which has tracked the UK government’s record on social policy, poverty and inequality over the last two decades. Kitty’s research on “Does income make a difference to children’s outcomes” is extremely interesting and relevant if we want to talk about “bridging the gap” of outcomes between families on a low income and those who are not. Born in Sweden and living in Finland since 2010, Robert was a Police Officer for more than 10 years. He worked mainly with young people and substance abuse problems. Up until very recently, he worked at the Youth Crisis Centre, a unit within the HelsinkiMissio. HelsinkiMissio, as well as being a campaigning organisation that supports inclusion, provides a range of family support initiatives, a youth crisis point providing preventative advocacy with young people, and intergenerational activities including the inspirational Albert’s Living Room which provides a meeting space for people experiencing or at risk of loneliness, whatever their age. Google Digital Garage, Mindfulness, Discussing ACEs with James Docherty, Trauma Training Taster Session, Second Chancers Exhibition and What works – a recovery community in Ayrshire.